This article includes a discussion of a DIY installation of a grid-tied 5.4-kilowatt photovoltaic (PV) system using Enphase microinverters, as well as the conversion of a two-level sunroom into a passive solar heating space using a thermostat-controlled fan/vent system. I also discuss my limited experimentation with micro wind turbines (not for the faint of heart! ), and the hardware and software I’ve used to monitor my energy consumption and generation. Colin is a philosophy instructor at Western Nebraska Community College in Scottsbluff, Nebraska, who enjoys hiking, backpacking, biking, birding and generally exploring the wild places of Western Nebraska and nearby western states. please email your information to Helen Deffenbacher at nebraskansforsolar@gmail.com. 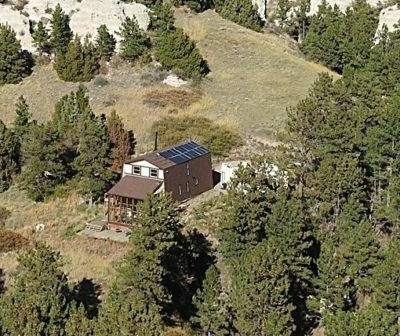 This entry was posted in Installation, Nebraska / Midwest News, Solar Energy Education and tagged Colin Croft, DIY grid-tied PV systems, DIY Solar Projects, Nebraskans for Solar NewsBlog, passive solar sunroom on March 18, 2018 by Helen Deffenbacher.